Do corporate tasks in a single environment. Powerfull & reliable email platform featuring the full support of SMTP, IMAP, POP3 protocols and e-mail filtering with industry-standart e-mail server components. Strong and secure corporate email server based on industry-standard technologies. 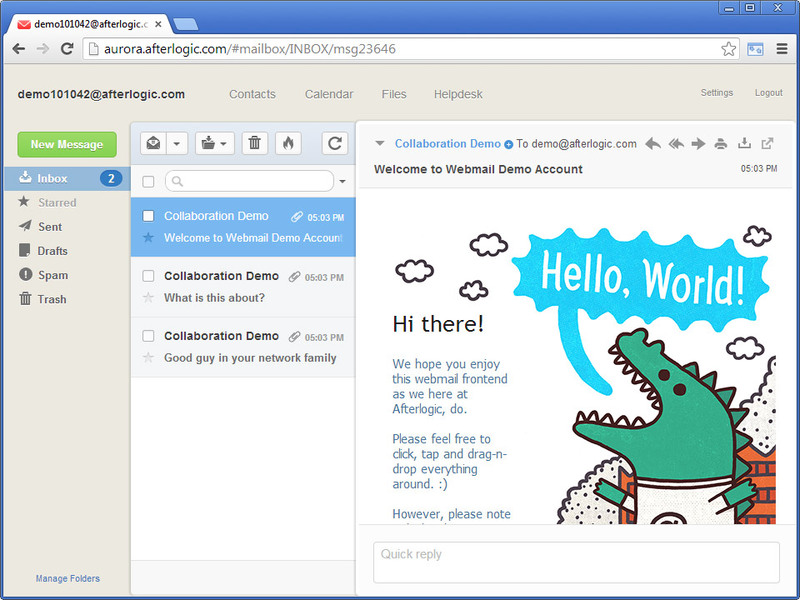 Equipped with a beautiful webmail interface. 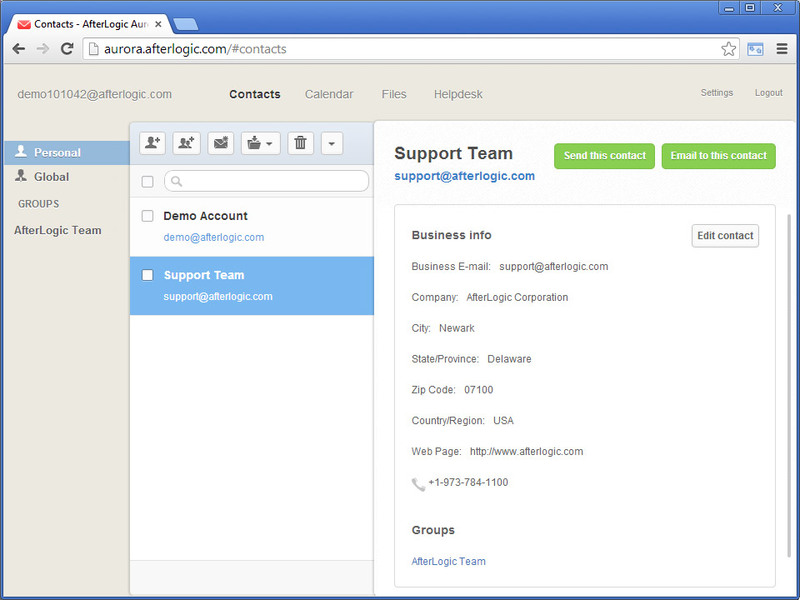 Browse and manage personal contacts, colleagues and customers. Sync with mobile devices. Events. Meetings. Share and publish. 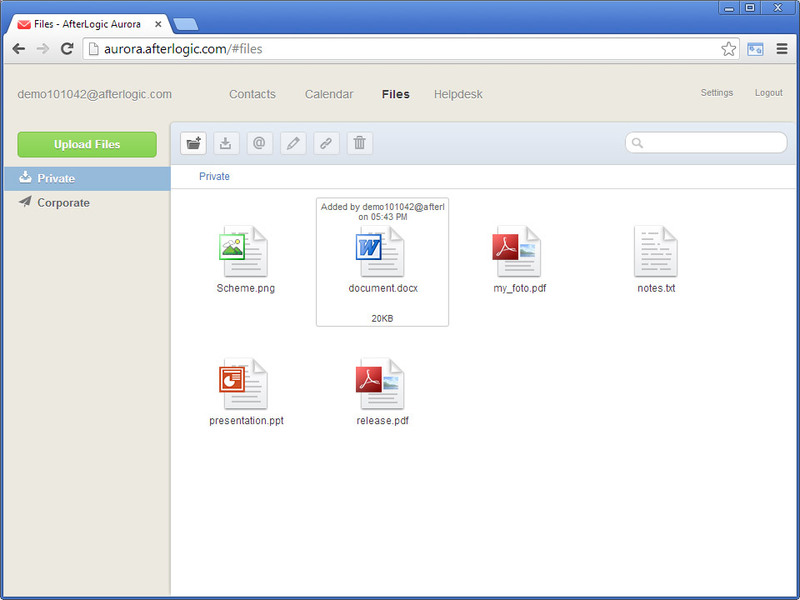 Store and manage personal and corporate files in your own cloud. 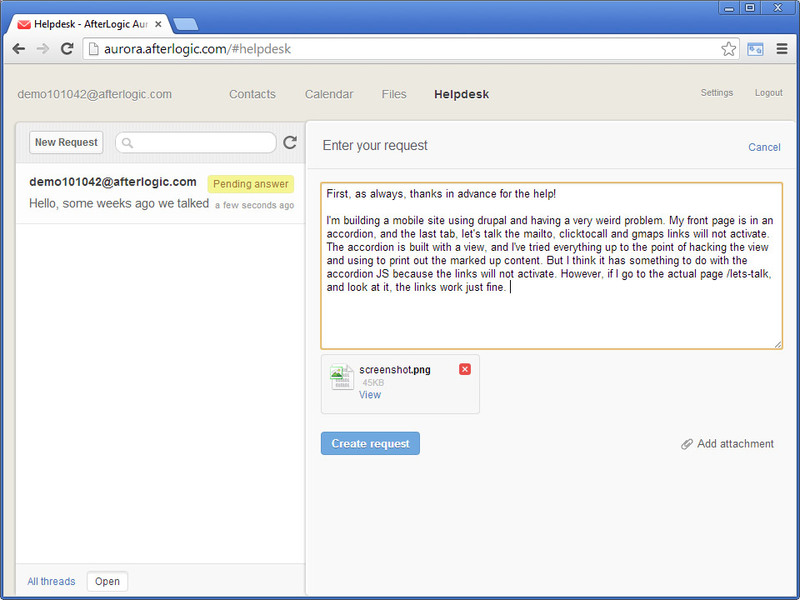 Support your customers with a simple but solid ticketing system. 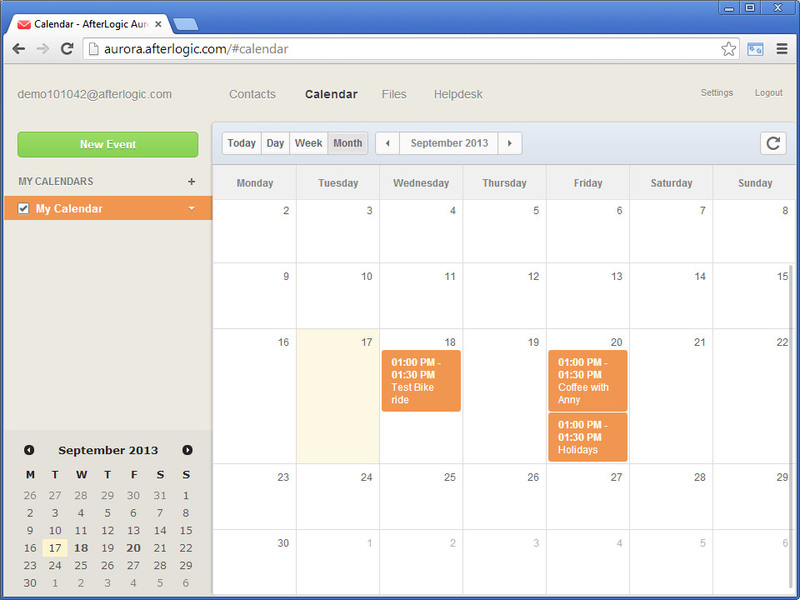 Aurora is a unified environment for common corporate tasks. With a single installation and a single interface you can focus on doing business, not solving puzzles of integration of different services. Community forum Where folks can help each other, discuss things and just hang around. Support To get assistance from our swift & friendly support team. Documentation Which should be your starting point.